FILE - In this Friday, July 8, 2016 file photo, a prescription is filled at a pharmacy in Sacramento, Calif.
SACRAMENTO, Calif. — El Dorado and dozens of other California counties are suing drug makers and pharmacy chains that officials say created a public nuisance by manufacturing and distributing prescription painkillers they say contributed to the deaths of 64,000 people in the United States in 2016 alone. 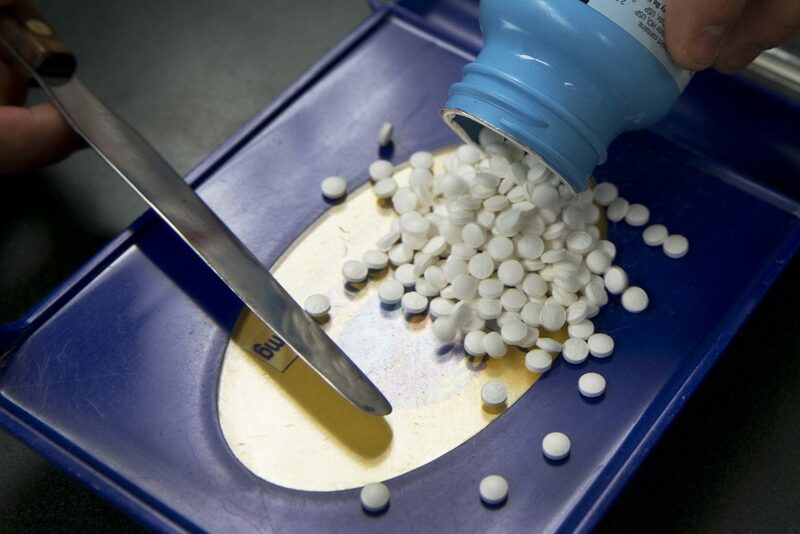 The Sacramento Bee reported Thursday that Sacramento, Placer and 10 other Northern California counties filed a lawsuit this week in federal court in Sacramento alleging that racketeering and fraud by the companies led to the nation’s opioid epidemic. Officials say 30 California counties are expected to file such lawsuits. The lawsuit is part of a nationwide effort by local governments to seek repayment for money spent to deal with the epidemic, Placer County attorney Brett Holt said. It claims there were 1,925 opioid-related deaths in California in 2016 and blames the makers of such drugs for “false, deceptive and unfair marketing” that made opioids the most prescribed class of drugs, generating $11 billion in revenues for drug companies in 2010. A spokesman for the Healthcare Distribution Alliance, which represents distributors named in the lawsuits, said the lawsuits are misplaced. “The misuse and abuse of prescription opioids is a complex public health challenge that requires a collaborative and systemic response that engages all stakeholders,” said vice president John Parker.